Though the enjoyment I get out of writing video game reviews is reason enough to do them, the reviews I write for GameFAQs are specifically for games that have little or no review coverage on the site. Sometimes my reviews help to publicize the games I like that haven't received enough mainstream attention, but sometimes my reviews act as a big warning flag to any potential players. Plus, I'd like to think my reviews are at least a teensy bit entertaining. 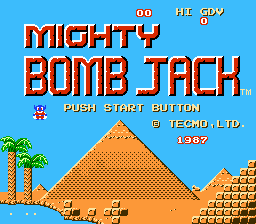 That being said, I'm proud to present my review of Mighty Bomb Jack, an NES platformer that is one of the worst games I've ever played. I had a great deal of fun writing this particular review, and you don't need to know anything whatsoever about the game to get a kick out of it. If you've got the time, please give it a read! 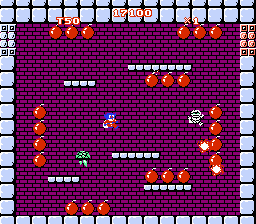 The worst NES game I ever played was Captain Planet and the Planeteers. I think it singlehandedly ended my Captain Planet craze with its unplayability. Where's Waldo was also similarly bad. Never played Captain Planet, but Where's Waldo was atrocious. "Find the stick figure in the crowd who we'll pretend is Waldo." Bleaugh.